Blizzard Entertainment released several screenshots of the Evolution Chamber UI which allows you to upgrade your units in between each mission. Kaldir and Char scenarios and critters. Some of the mission objectives are shown. The Char and Kaldir missions have the same title, which makes me think the War for the Brood title refers to a chapter within the Heart of the Swarm campaign. The mission in Char sets players to liberate the Zerg Homeworld from a renegade Queen named Za’gara. With the defeat of the Queen of Blades, and her loss of powers, Za’gara wishes to claim control of the Swarm. Kerrigan won’t be alone in this crusade to regain control of the Zerg. Former allies who served her when she was the Queen of Blades will assist her: Abathur and Izsha. Players must race through Char to capture several Baneling eggs left behind by the Queen of Blades, before Za’gara takes control of them. That mission will introduce an area of Char not seen before. Lands of acid pools which give the Banelings their explosive chemical traits. Among the first missions, surely to be in the Heart of the Swarm beta test, is a visit to planet Kaldir — an icy planet with unbearable cold temperatures and chilling wind storms. The mission in Kaldir is titled: Silence their Cries. Kerrigan and her swarm travel to Kaldir to reclaim the Na’fash Brood, sent there by her long ago to possibly experiment evolution traits against freezing conditions — not a bad place to hide from enemies. Or so it seemed. The Protoss have a settlement down there. Kaldir is where players will have to challenge themselves to survive the Flash Freeze, which is the equivalent to the lava rising mechanics in planet Redstone III, but in a different and chilling kind of way. The native fauna is said to play a role in this Kaldir mission. They look like furry beasts off a Star Wars environment. It’s unknown how these beasts will be of importance to the Zerg. Players can also recover other Zerg units fallen to the Flash Freeze by freeing them from their icy prisons. In StarCraft II: Heart of the Swarm the Evolution Chamber room is the equivalent to Wings of Liberty’s Hyperion Engineer Room. The Hyperion has Rory Swann. The Evoluntiojn Chamber has Kerrigan’s ally: Abathur. While this creature is new to the series, he served the Queen of Blades before Heart of the Swarm. The Evolution Chamber offers several upgrades for units as seen in some of the screenshots revealed by Blizzard Entertainment. In the Engineering Room, you could click the console to see the units available, and you could see in the background some of the unit models. The background would add a new unit as you progressed randomly from mission to mission acquiring new units. In Heart of the Swarm, the unit selection screen is updated as well, and players can see the unit models. It seems there will be a few mutations or sub-species among base units. For example, the Zergling can evolve into Banelings in Wings of Liberty, and continue to do so in Heart of the Swarm. However, now players can evolve into other variants such as the Swarmling. One of the screenshots shows another variation called Raptors. Swarmling: Swarmlings perform an additional embryo split while gestating in the egg sac. This mutation provides three Swarmlings for the same Mineral cost as two Zerglings. Rapid Genesis: This modification enables the cells of gestating Zerglings to reproduce at unprecedented speeds. This allows a full set of Zerglings to be birthed in the space of less than 1 second. (Zerglings train instantly)Other upgrades and cost requirement in the screenshot: Metabolic Boost (1), Posthumous Mitosis (1) and Rapid Genesis (2). Upgrades: Chininous Plating (1), Bile Ducts (1), Organic Carapace (2) and Evolve Roach (2). Kerrigan is able to change her Battle Focus between missions. The UI shows Kerrigan’s unit model onscreen surrounded by four trees with five unlockable abilities per tree which can be accessed as players progress through missions. The two initial trees available are the Spec Ops and the Corruption. Psionic Shadow: Kerrigan creates a Psionic Shadow of herself that deals half damage. Duration: 60 sec, Cooldown: 30 sec, Energy: 50. StarCraft II Senior Game Designer Jonny Ebbert revealed at GamesCom 2011 today plans to launch the Blizzard DOTA mod around the same time Heart of the Swarm is released, according to Eurogamer. After seeing so many great player-made maps based on Aeon of Strife and Defense of the Ancients, the designers felt inspired to create their own adaptation of these legendary StarCraft and Warcraft III custom mods using updated graphics, customized character models, and epic new environments. 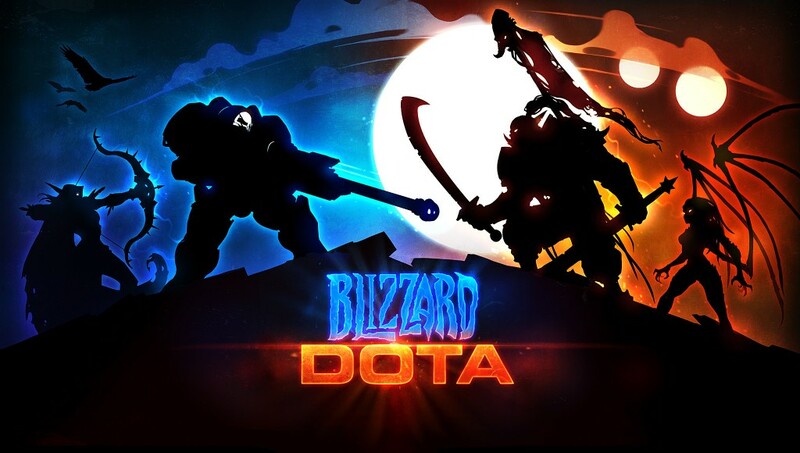 Blizzard DOTA will be a 5-vs.-5 mini-game with a chess-board theme, featuring three lanes, two bases, creep-based farming, and an emphasis on protecting key structures. Players will get to choose among 12 iconic heroes from the Blizzard universe, including superstars like Kerrigan, Sylvanas, Jim Raynor, and Muradin Bronzebeard, each with his or her own unique abilities and tactics.